The once-vibrant West Side community of Austin is now plagued by crime, unemployment and street gangs. Many of the historic row homes are boarded up and nearby businesses abandoned. Politicians have lobbied for funding to resuscitate the ailing area, but with no luck. Now one man, who was once part of the problem in this community, is stepping up to be part of the solution. 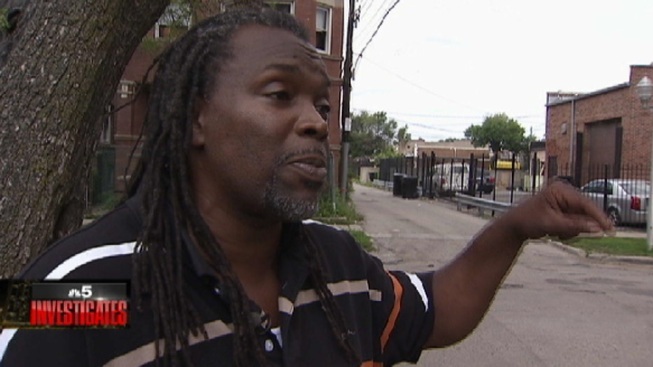 "This is Cicero and Van Buren," said Clifton McFowler, who simply goes by Booney. "This is where me and eight other guys started a street gang, called the Cicero Undertaker Vice Lords." The idea for the gang name came from a nearby funeral home. And the initiation was simple -- prospective members had to break a window at the nearby funeral home and stare at the cadavers. 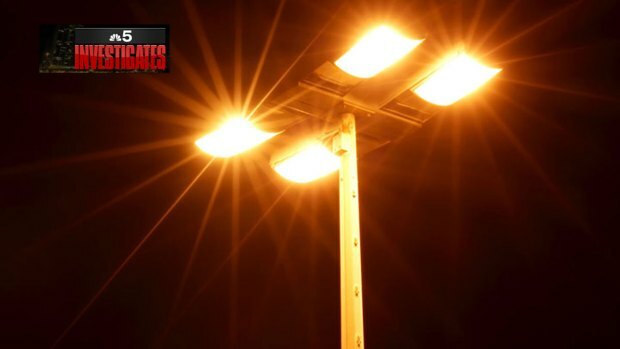 A Northwestern University study shows crime went up 7 percent when blocks of streetlights broken. NBC 5 INVESTIGATES' Chris Coffey reports for the NBC 5 NEWS at 10 p.m. on July 2, 2014. But the rest of gang life was not as easy. "I never left my house without my gun and bullet proof vest," Booney said. He admits using drugs at a young age and robbing the men who came into the neighborhood to hire prostitutes. "I was robbing the johns. That was my hustle," he said. Booney drifted in and out of juvenile detention centers when he was young. As an adult he landed in jail on multiple occasions. Each time he was released he rejoined his gang, committing crimes in his community. Eventually he killed a man. "I didn't know the individual, but it was a drug thing," he said. "I had some drugs. I gave them to somebody and another individual took my drugs. And out of anger I went over there with a gun." Booney was convicted of first degree murder. "When we started this gang we had no idea that 40 years later the effects of something we did as kids would have on my community." And so after 37 years behind bars, Booney says he changed his ways. He now spends his days trying to keep kids away from gang life. "I talk to Booney a lot, about everything," said 16-year-old Javion Reed. The West Side teen met Booney about a year ago after getting picked up for having a gun. A judge ordered Reed to several months of house arrest. "I have a lot of friends in gangs," Reed said. "I want to stay out of trouble. That's what I'm trying to do now." Reed now spends his days with Booney at an organization known as BUILD, which stands for Broader Urban Involvement & Leadership Development. The program hopes to give kids in West Side neighborhoods a "fighting chance" to stay out of gangs. And it gives one former gang member a purpose. "I believe that's my punishment to come back to my community, and save as many as I can," said Booney. "And that's a good punishment." There are few other programs like BUILD on the West Side, an area that has many gangs and a staggering number of ex-cons. "That's a tough burden on a community because these people have a difficult time finding employment," said State Rep. LaShawn Ford. The West Side Democrat has lobbied for resources to help struggling West Side communities, but so far without much luck. "Austin is a rich community that lots of people come from, but have abandoned because of the lack of services that are not directed in this community anymore," Ford said. Booney says abandoning his roots is not an option. "I did my time. The time was just part of it," said Booney." The big part of it now is coming back to these places where I was a part of the problem for so long and being part of the solution."